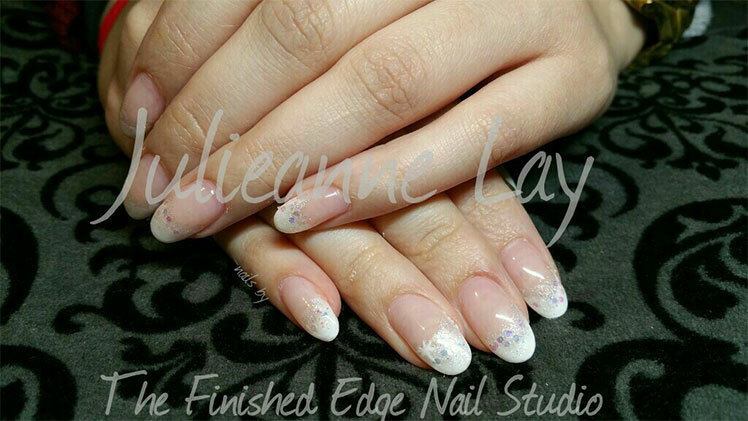 Julie Lay, the founder and owner of The Finished Edge Studio, has been doing nails for over 15 years. She has been doing my nails for over 10 years and I have always found her work to be extremely creative, efficient and of great quality. I am often complimented on my nails. 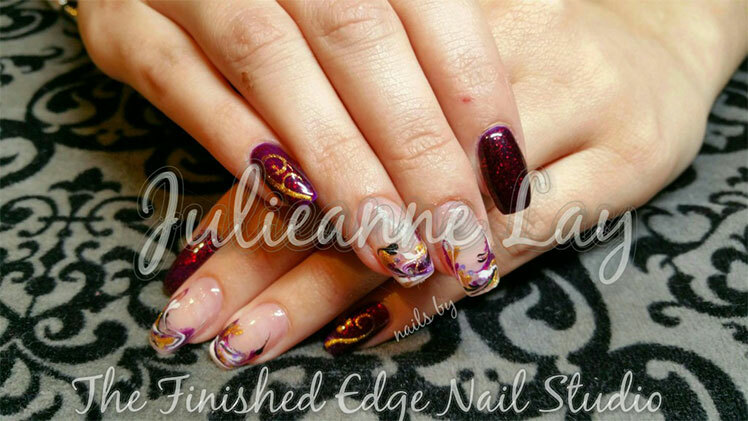 Julie also does Shallac nails and she recently took a course from All About Nails Training Center and she has started to create amazing designs on nails. She creates her own designs or she has tools that help her with her artistry. She can do conservative with a little bling or she can go all out funky. Whatever your heart desires! 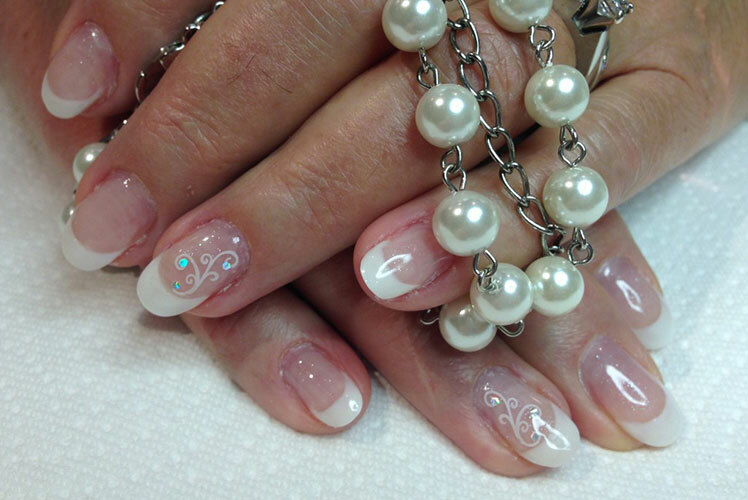 She also uses the best gels on the market which of course helps keep the nails on longer with very little breakage. 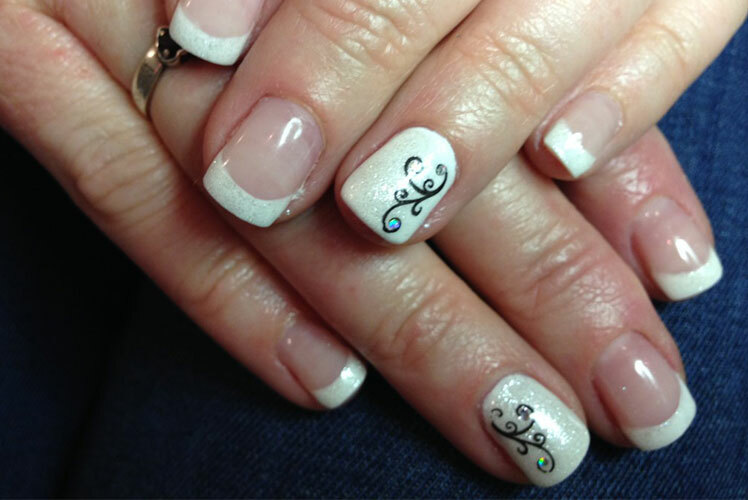 My Christmas season nails… great look for a wedding! Take a look on her business Facebook page to see more of her lovely artistic work.